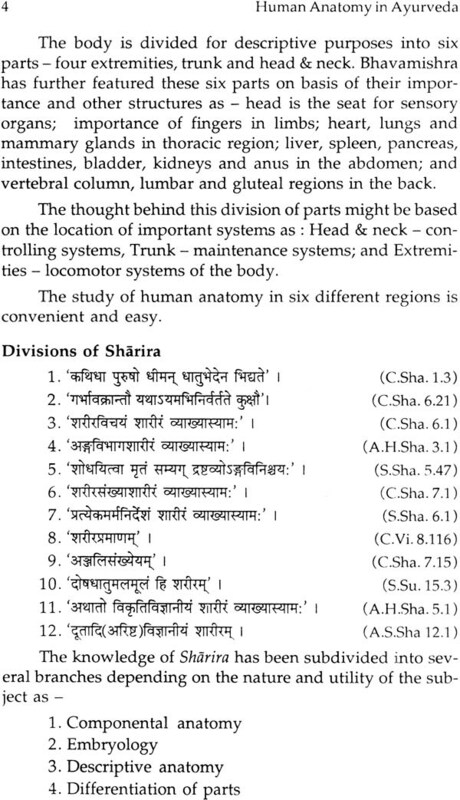 Sharira Rachana, one of the basic subjects, describes everything about conventional anatomy described in Samhitas with its contemporary anatomical interpretation and description. The subject of anatomy associated with its counterpart subject physiology forms the foundation on which pathology is built through which is all the clinical subjects derive diagnosis and specific treatment. 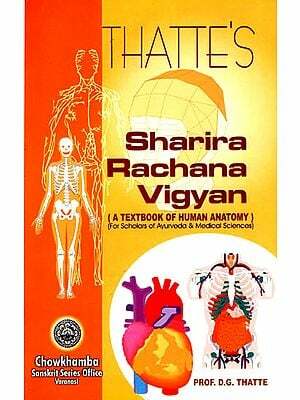 The book ‘Human Anatomy in Ayurveda’ describes the subject ‘Sharira Rachana’ on different topics like embryology, Osteology, Myology, Splanchnology, Angiology etc. Based on Samhitas as per the prescribed syllabus. 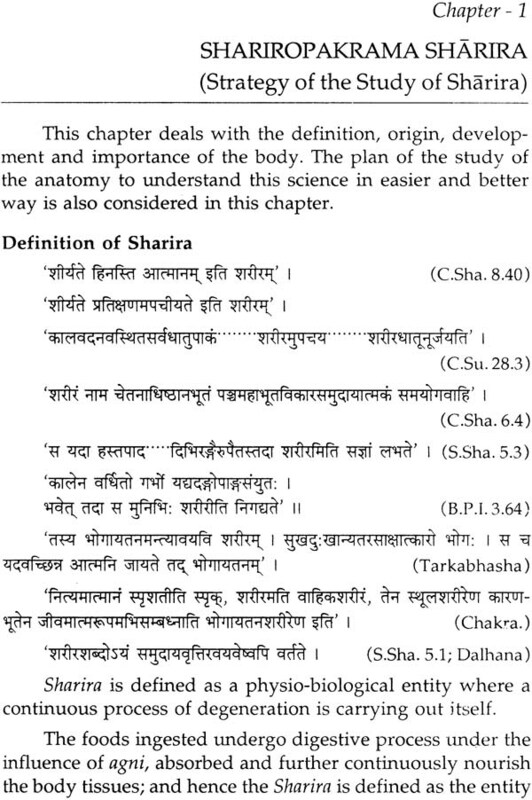 This handbook of Sharira Rachana is a complete compendium of Ayurvedic anatomy. Dr. U. Govind Raju has completed his BAMS from Osmania University, Hyderabad, A.P. in 1979; M.D. (Shareera Rachana) from National Institute of Ayurveda, Jaipur in1984, PGCR from Mumbai and M.A. 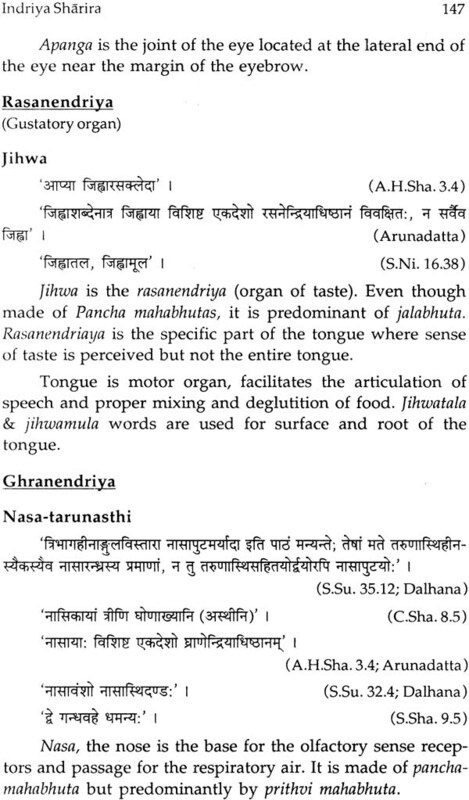 (Sanskrit) from Rajasthan University, Jaipur. He is in the teaching profession since 1984 and worked in Mohta Ayurveda College, Sadulpur, Rajasthan and N.K.J. Ayurveda Medical College % P.G. Centre, Bidar, Karnataka. Presently, he is working as P.G. Professor, Ph.D. guide, Dean for the P.G. studies in S.D.M. College of Ayurveda. Udupi. He has guided 24 P.G. scholars so far and is currently guiding 6 Ph.D. scholars. He has conducted National & Sate Level seminars, workshops and C.M.E. programmes and has also authored a book entitled Neurological concepts in Ayurveda (Understanding Vata). I am glad to go through the book written by Dr. U. Govind Raju, Professor, S.D.M. 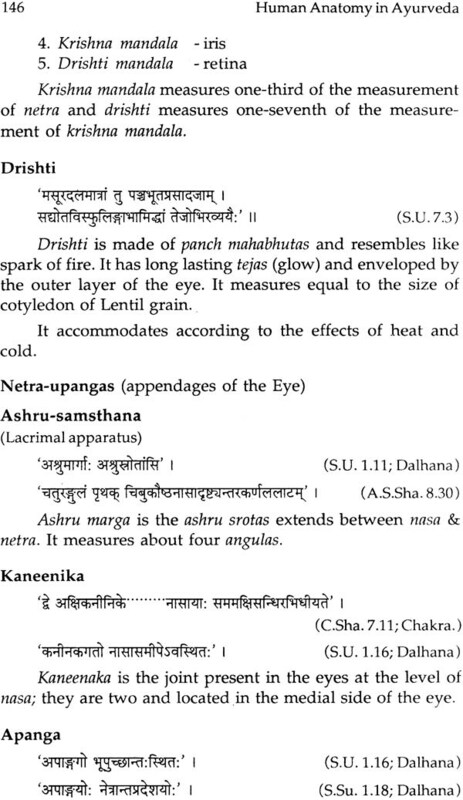 College of Ayurveda UDUPI, who is a erudite scholar, he has taken great pains & tried to bring out all the Ayurvedic aspects of Shareera Rachana (anatomy) and observed and perceived by our ancient Rishis and mentioned in the Brihatrayee & other books. 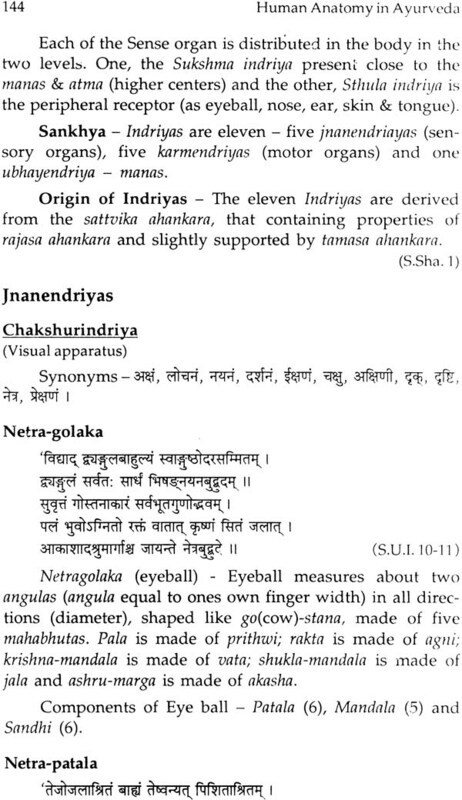 All the aspects of Shareera Nirmana Avasthas (stages of formation of Shareera) including Garbha Shareera, Maram, Srotas etc. I hope it will cater to the needs of Ayurvedic students both of under graduate and post graduate courses besides the research scholars. I congratulate the author for taking the venture & hope he will write more on Ayurveda for the benefit & development of this great ancient medicine originated in this Veda Bhoomi (the land of all knowledge). Study of basic medical sciences like anatomy & the physiology is inevitable to understand and to analyze the pathology and treatment aspects. 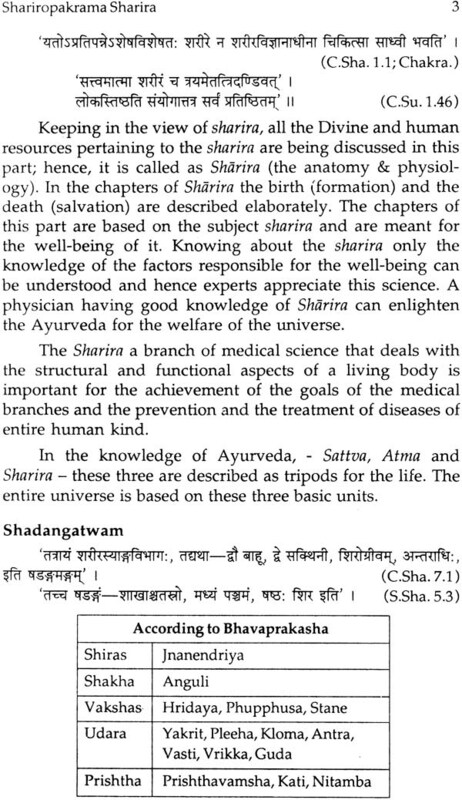 The predecessors of the Ayurveda have well recognised this factor and ‘Shareera Sthana’ was described by all Acharyas as a separate part in the science. 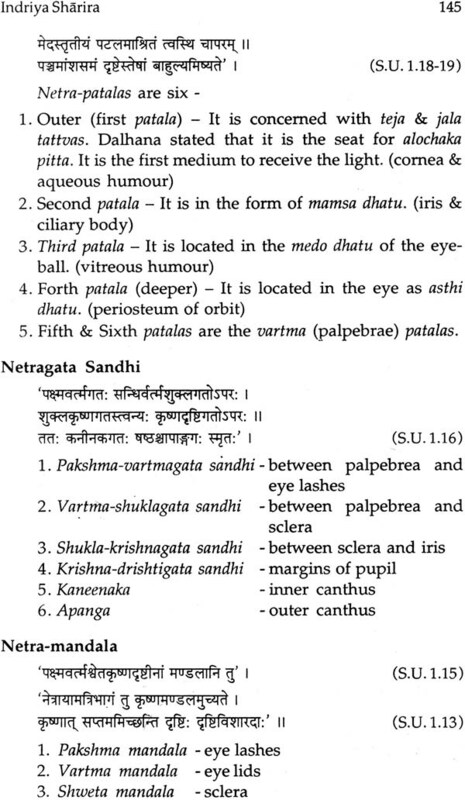 The description of Anatomy in Ayurveda is most significant and special. Apart from the general topics like embryology, genetics, systemic, clinical anatomy, it deals with psychology, psychological, psychosomatic, metaphysical considerations of the body and effects of the previous birth and Atma. However, the anatomy was well developed in the ancient era; the available literature of those days in mostly concerned with the applied aspects and explained in the succinct form. In this book, I made a small possible effort to explore in the literature in a systemic manner.